The past few weeks have been crazy as I prepped for, departed, and then returned from vacation. I had the pleasure of getting to visit an aunt in Oregon for a 5 day period. It was very nice to get away from work and obligations to relax for a bit. I took the trip with my sister, cousin, and my cousins wife. We went sight seeing and took in all that we could see in such a brief period of time that Oregon had to offer us. We went to downtown Portland and hit Voodoo Doughnuts. Rod the Tram to see the view. Wondered around and hit a few shops. We took the train an bus to get there so we did get a very Oregon commuter feel to the entire day. Voodoo Doughnut has been a dream to visit since I first saw it on Food Network years ago. So to finally be going so close to Portland, I could not pass up the opportunity. Then we made our way to the Portland Aerial Tram after much walking then finally hopping on a bus to take us the last way there. 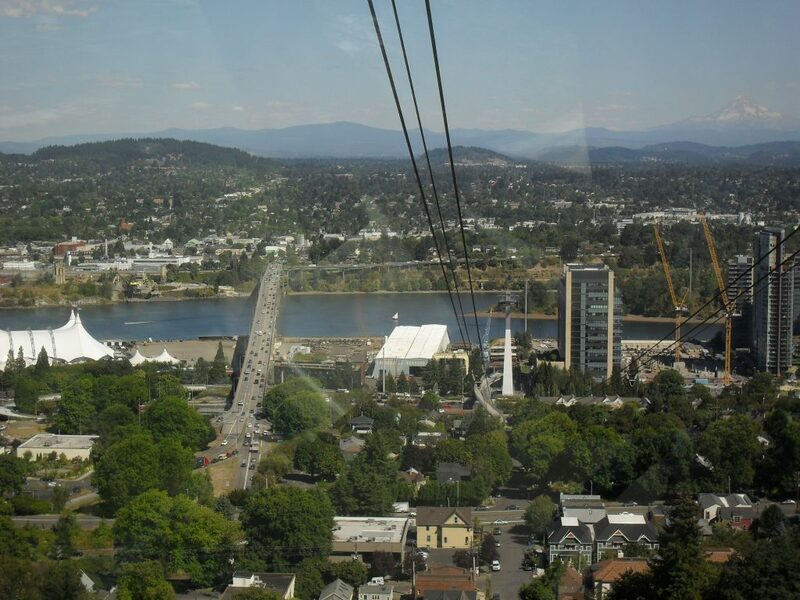 There is not much to describe the Aerial Tram. It was breathe taking. Once the basket starts moving up and you get a view of the skyline and it continues to go higher you are at a loss for words. We went during prime time mid day. The view was wide spread and you could see Mt Hood in the back and even Mt St Helens. After a brief stop at the food trucks down below and then a long bus ride home that completed the first full day of vacation. 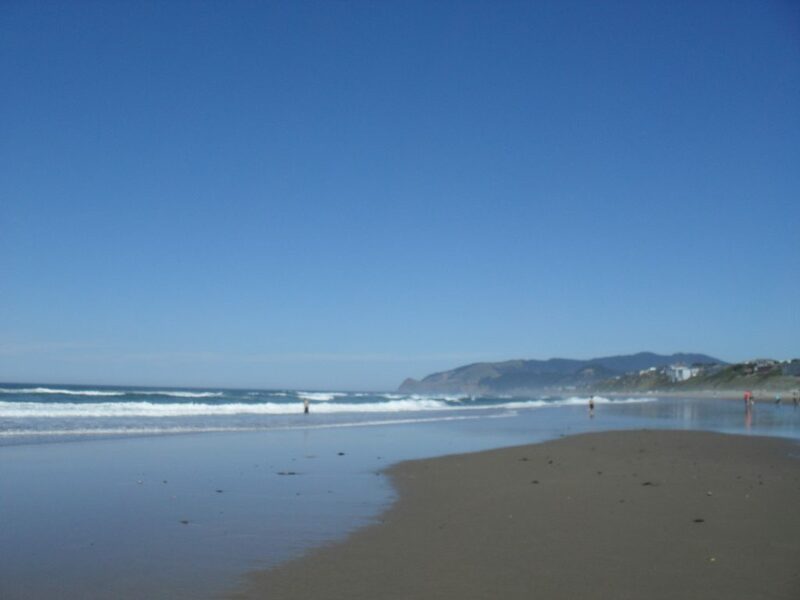 On the second day we went down to the coast for some beach fun, Lincoln City. I have not been to a beach in a very long time and to get there and find the beach immaculate was amazing to say the least. This was not like Chicago beaches with garbage floating up or in the sand. The sand was fresh and warm on your feet. The only thing you are watching out to step on is washed up jellies and shells. We all took in so much sun and were in a little pain later but worth it in the long run. I did get a chance to witness the sand bars that appear when the tide rolls out and how they can disappear when the tide rolls back in. In a matter of an hour I saw a whole section of sand get eaten by water and was amazed. 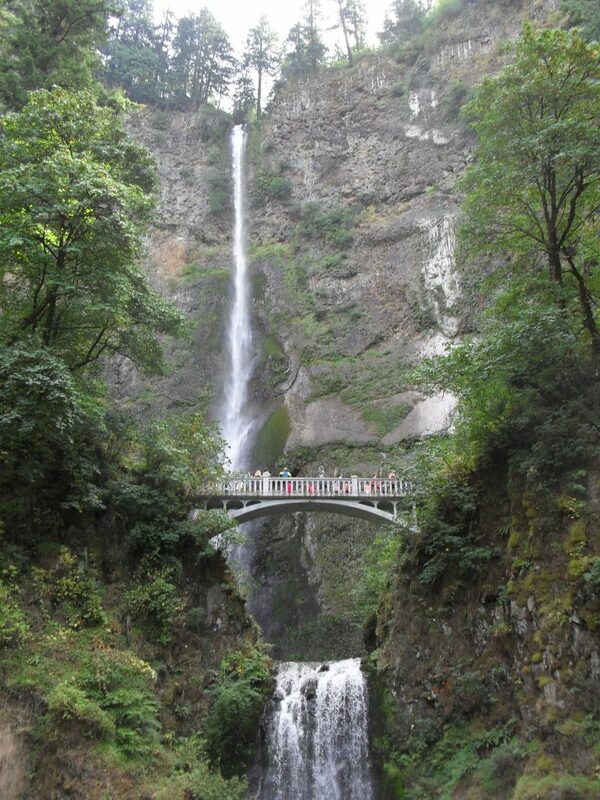 Our last full day of vacation was spent at Multnomah Falls. We went up the 1/4th mile to the bridge and only a little past that hiking as one of the 5 members of our group were so badly burnt the previous day that walking was impossible. Near the falls there was a breeze and only after passing it do you realize that it was coming off of the falls themselves vs through the trees around the area. From the bridge you can look out over the Columbia River and see Washington state. I loved Oregon and everything about it. The weather, the views, and the people. I will be back many times and hopefully longer next time to get more of its history. Oregon is a post card in comparison to Chicago. Yes I love my home city but for different reasons. I will be back and I will conquer that mountain.